It’s easy to forget that the story of infrastructure is a human story. In this session, we will take a step back and trace the history of automation and virtualization, touching on specific pioneers and the use cases they developed for both technologies, looking at the emergence of the devops role and its significance as organizations move towards the cloud. State of the Infrastructure Presentation [ZIP]. Rachel has led the infrastructure software practice for The 451 Group since its debut in April 2000. She pioneered coverage on SOA, distributed application management, utility computing and open source software. Today she focuses on datacenter automation and server, desktop and application virtualization. Tim O’Reilly is the founder and CEO of O’Reilly Media, Inc. O’Reilly Media also hosts conferences on technology topics, including the O’Reilly Open Source Convention, the Web 2.0 Summit, and the Gov 2.0 Summit. John has been extracting value from large datasets for 15 years at companies ranging from hedge funds and small data-driven startups to retailing giant amazon.com. He has deep experience in the areas of personalization, business intelligence, website performance and real-time fault analysis. Douglas Crockford is an Architect at Yahoo! Inc. He discovered JSON while he was CTO of State Software. Theo Schlossnagle is a Founder and Principal at OmniTI where he designs and implements scalable solutions for highly trafficked sites and other clients in need of sound, scalable architectural engineering. The key challenges for infrastructure designers and maintainers today are scale, speed and complexity. Mark Burgess was one of the first people to look for ways of managing these issues based on theoretical analysis. Much of his work has gone into the highly successful software Cfengine, which is still very much a leading light in the industry. In this session, Mark will ask if we have yet learned the lessons of infrastructure management, and, either way, what must come next. Mark Burgess is the founder, CTO and principal author of Cfengine. He is Professor of Network and System Administration at Oslo University College and has led the way in theory and practice of automation and policy based management for 20 years. Mr. Chaudhary is responsible for leading Keynote’s product management team and has extended the company into new markets via 15 acquisitions. Steve works at Google on web performance and open source initiatives. He previously served as Chief Performance Yahoo!. Steve is the author of High Performance Web Sites and Even Faster Web Sites. Jesse Robbins (@jesserobbins) is CEO of Opscode and a widely recognized expert in Infrastructure, Web Operations, and Emergency Management. Jesse serves as co-chair of the Velocity Web Performance & Operations Conference and contributes to the O’Reilly Radar. John has worked in systems operations for over fourteen years in biotech, government and online media. He built the backing infrastructures at Salon, InfoWorld, Friendster, and Flickr. He is now VP of Tech Operations at Etsy, and is the author of The Art of Capacity Planning published by O’Reilly. 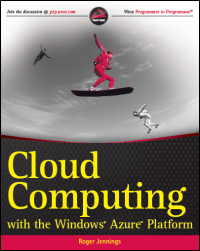 Cloud computing is changing the way we think about data centers, applications, and services. By pooling resources and aggregating workloads across multiple customers, cloud service providers achieve highly cost effective, multi-tenant, infrastructure as a service. Some applications, however, need a richer set of networking capabilities than are present in today’s environment. We will cover Cisco’s recent participation in the Open Stack community and explore what a networking service might provide for both application developers and service providers. Jonathan Heiliger is the Vice President of Technical Operations at Facebook, where he oversees global infrastructure, site architecture and IT. Prior to Facebook, he was a technology advisor to several early-stage companies in connection with Index Ventures and Sequoia Capital. He formerly led the engineering team at Walmart.com, where he was responsible for infrastructure and building scalable systems. Jonathan also spent several years at Loudcloud (which became Opsware and was later acquired by HP) as the Chief Operating Officer. Paul Querna is an Architect at Rackspace, and former Chief Architect at Cloudkick. Operations is can play a critical role in driving revenue for the business. This talk will explore some ways in which the ops team at Amazon is thinking outside the box to drive profitability. JJ will also issue a challenge for next year’s Velocity Conference. Jon Jenkins is the Director of Platform Analysis at Amazon.com. He leads a team focused on designing and implementing highly-available architectures capable of operating within tight performance requirements at massive scale with minimal human intervention. Michael Kuperman has 10 years of experience in the CDN and ADN industry. To his role as VP of Operations at Cotendo he brings deep expertise in deploying and operating mission critical global environments in the US, Europe and Asia. Before joining Cotendo, Michael held senior Operations positions at a number of leading companies in the content delivery network industry. Ronni Zehavi is CEO and Co-Founder of Cotendo. He has over fifteen years of executive experience in start-up and multi-national high-technology companies. Prior to Cotendo he founded Commtouch Software where he commercialized email security technologies in a distributed global service environment that handled over a billion content transactions per day with 100% uptime. Launched in December 2008, BrowserMob set out to change the way performance and load testing is done – all using the cloud. Learn from the founder how he built a high performance testing product on top of dozens of cloud technologies, and how the operational support the cloud provided enabled the company to not only profit from day one, but to be acquired within a year and a half of its launch. Patrick Lightbody is the founder of BrowserMob, a cutting edge load testing and website monitoring provider, which is now a part of Neustar. He also founded HostedQA, an automated web testing platform. One of the greatest challenges facing an organization that wants to migrate to IPv6 is that the protocol is not supported on all clients. In fact, it is estimated that 1/2000 of clients will be unable to connect to a dual-stack site. This poses an interesting question; who goes first? Enabling IPv6 in the current climate means sending customers to the competition. But if no one goes first, IPv6 will never happen. This is the motivating factor behind World IPv6 Day. Major content providers have agreed to simultaneously enable IPv6 for a 24-hour period in early June. What this means is that rather than one site seeming broken, the whole Internet will seem broken to clients with this problem, which will call attention to deficiencies in the infrastructure of the Internet, rather than to individual content providers. Enabling IPv6 is a full stack exercise – everything from routers to applications needs to be adapted to work with the new protocols. The purpose of this session is to share lessons learned in the preparation for World IPv6 day, and discoveries made on the day itself. Arvind Jain works as a Director of Enginering at Google. He is responsible for making Google products fast and also runs its “Make the Web faster” initiative. Artur Bergman, hacker and technologist at-large, is the VP of Engineering and Operations at Wikia. He provides the technical backbone necessary for Wikia’s mission to compile and index the world’s knowledge. … In past lives, he’s built high volume financial trading systems, re-implemented Perl 5’s threading system, wrote djabberd, managed LiveJournal’s engineering team, and served as operations architect at Six Apart. Tim O’Reilly is a strong proponent of free and open-source software but he doesn’t believe conference breakout session and workshop videos should be free and open. You must purchase a $495 online access pass to view the entire conference video archive. All session videos from later DevOps Days Mountain View 2011 and Giga Om’s Structure 2011 conferences are available to view at no charge. For Structure 2011 video archives, see my Giga Om Structure Conference 2011 - Links to Archived Videos for 6/22/2011 and Giga Om Structure Conference 2011 - Links to Archived Videos for 6/23/2011 posts.